As Psychology is right on the threshold of moving to P-2 we can see how today's bad employment news fits in with the odds of the U.S. stock market. 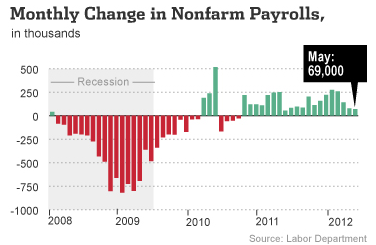 The May report is the third straight month of lackluster jobs data. So when the Fed meets next week, they will see the following. 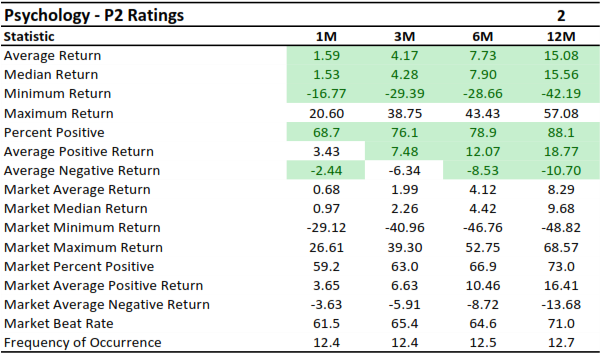 So how do you make any sense of this, and how should smart investors react? There is only one way, and that is to let History be your guide, based on how the market has reacted in the past when we've had had similar pressures of fear and greed. 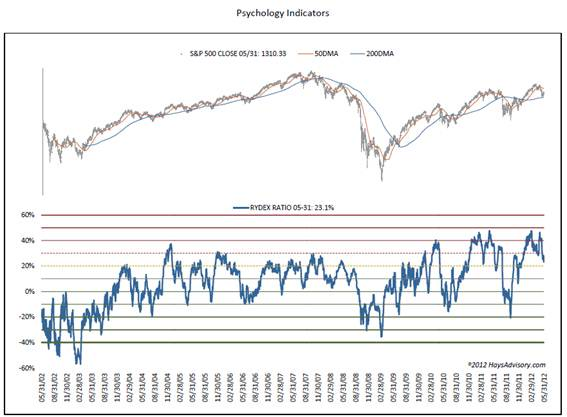 The good news we saw last week was that the greed of four months ago, when our Psychology Composite hit P-5, has now improved substantially to a level of P-3. The Rydex traders have a habit of hanging in there during the initial phases of a correction, but when they do finally push the panic button, this ratio quickly reverts to Bearish positions (the green zone.) You can see the drop to 23% in yesterday's data is a new low for this cycle, so we are watching very closely to see if today's panic exacerbates that even closer. If this is the case, we'll get a quick move in our Psychology Composite to the next level, P2. So what type of odds will P2 give us?